Helping people online since 1991. We didn't INVENT THE INTERNET ... but we HELPED! CLICK to see how. Save 50% with a monthly service plan. 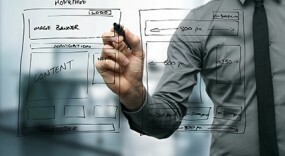 Your expert web team fits any budget! Click for the perfect solution! 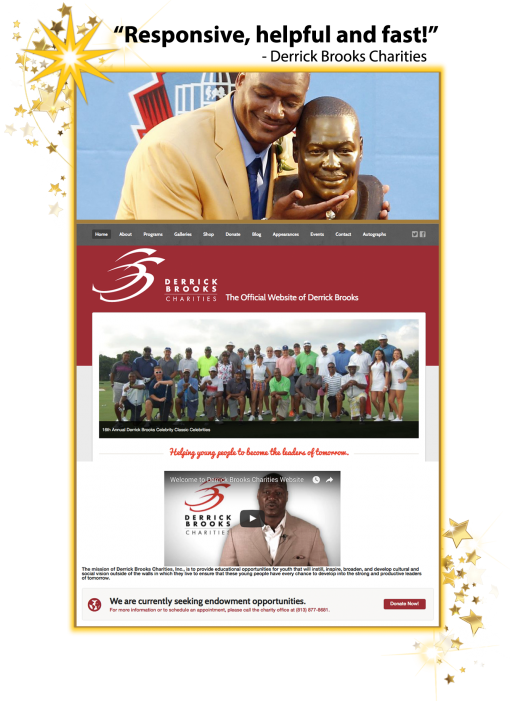 We needed a reliable, professional webmaster in Tampa Bay, and Warrick Dunn Charities told us about Dewey. He immediately solved our WordPress issues and continues to be responsive and helpful whenever we need something done fast! Dewey helped us set up our blog to automatically cross-post to social media, saving us time and effort and he is always happy to provide training, tech support and a friendly helping hand when we need him. We worked together to redesign our site to be mobile-friendly and to match our logo and style. Dewey ably supervised and executed the project using WordPress, WooCommerce and several custom plugins for our auctions, fund-raisers and autographed merchandise. Best of all, our monthly plan includes bankable service hours, so we enjoy having a nice, predictable budget and can save up programming time for later use. It’s like having our own web department “down the hall” in cyberspace! 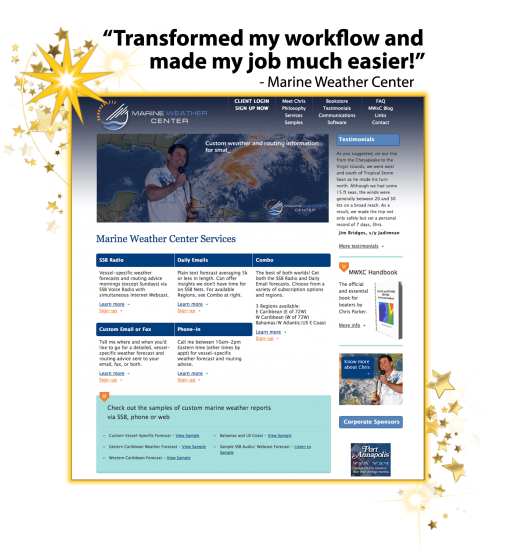 I have known Dewey for over 20 years, so Internet Adept was a natural place to turn when I launched my weather forecasting business and needed a professional website. My project was challenging in several respects: I needed a logo, an attractive web site and a complex back-end to manage subscriptions for a pre-existing (and disorganized) database. But I was not sure exactly what I needed, so the scope and details of the project evolved. Throughout the project, Dewey was responsive and helpful, coordinating every aspect, and effectively liaised between the specialized sub-contractors and me. Each day I receive compliments on my website from both clients and prospective clients. The website has not only helped grow my business but also handles back-office duties, freeing me to focus on serving clients. I’ve been working with Dewey for over 10 years now. He helped me set up our first website with HTML and taught me basic programming so I could keep it up to date myself. He showed me how to look at code and incorporate it into our site. I’m a do-it-yourselfer and needed to be in control of everything. Dewey was willing to work with me, teach me and direct me to the appropriate websites so I could learn what I needed to know to keep our site up and relevant. Last year, PSI decided to get into ecommerce. Dewey recommended I use Wordpress and WooCommerce to develop a new site. We met and he went over the basics of WordPress with me. In the following months while we were in development, Dewey patiently fielded a lot of calls. He answered a ton of questions and walked me through how to make the changes online. If he didn’t know how to solve the problem, he found someone who did. 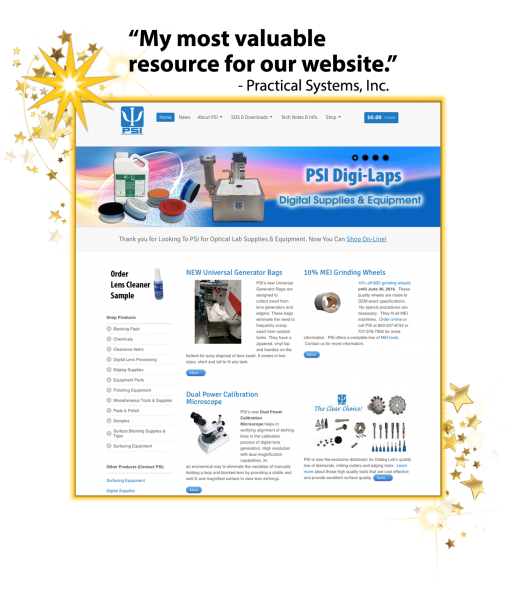 He was able to get a programmer on board that has helped us to customize our site. The best part was, no matter how frustrated or upset I was he always was able to make me laugh. He has been my most valuable resource for our website. Without his help, we would not have the site we have today. As a nonprofit, budget is always a concern. But working with Dewey, we were able to build a top-notch website that beautifully represents our mission and vision without spending a fortune. Dewey is extremely generous with his time – donating a bank of hours each month and making our billing predictable and manageable. Working with Dewey, we are now able to maintain most of our website ourselves with Word Press – so it is easy for us to stay up-to-date and look polished without incurring additional fees. The value of what we get from Dewey and Internet Adept is really immeasurable – we get all the top level talent and expertise Dewey has to offer without having to pay top dollar. 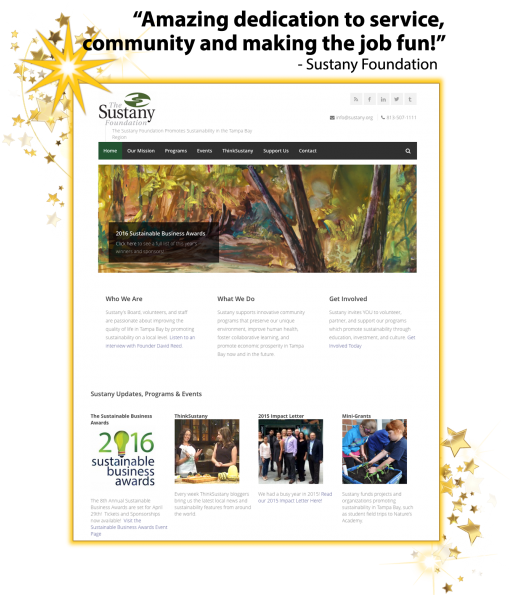 Sustany is grateful to Dewey for his years of generous support and we are so proud of the website we have created together! Our site was boring, static, sorely outdated, very hard to navigate and just tanked on mobile phones. 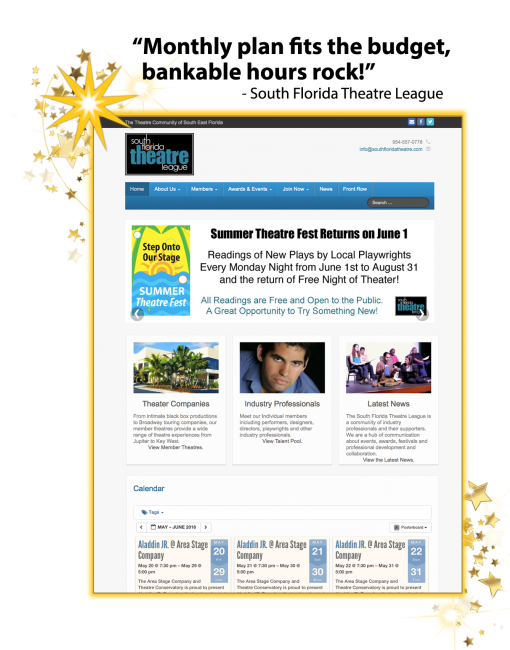 We work with theatres, actors and patrons who all need easy access to different kinds of information. Internet Adept helped us sort out our priorities and plan a site that is easy to use and places our most important information center stage! Dewey helped us become very mobile friendly and planned and facilitated the migration of our membership database to Wordpress and set up a kickin’ calendar so our members can post their own events and performances! We just love the fact that Dewey doubles our banked hours for free because we are an arts organization. His passion for the community benefits everyone, and he is always happy to help our members with training, trouble-shooting and helpful tips. We have a great monthly service plan that makes sense to our board of directors and is easy to budget, and we have all the great support and enjoyable working relations that have made Dewey an indispensable part of our operations.